A woman who was attacked with a knife in an Uber car is suing the ride-sharing company. Chicago resident Jennifer Camacho says another passenger slashed her face several times while using Uber Pool. The service lets strangers share a car to reduce the cost of a trip. But Uber said the “altercation” did not involve the company and its insurance provider has refused to compensate Ms Camacho because the assault was not considered accidental. Ms Camacho had ordered a shared vehicle in January after a night out celebrating with friends. But as she climbed into the back of the car, another passenger who was already in the front seat slashed her face with a three-inch blade, according to her lawyer Bryant Greening. Ms Camacho had to fight off her attacker, a 34-year-old woman, until the police arrived. The case against Uber and the alleged attacker claims the car-hailing firm was negligent and Ms Camacho is seeking more than $150,000 (£120,000) in damages. 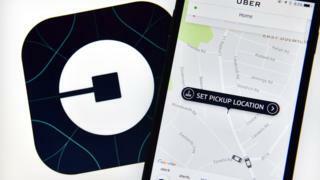 Uber has previously declined to comment, telling local media that the incident was “an altercation between two riders that didn’t involve Uber”. However, Mr Greening said the ride-sharing company should take responsibility. “The way Uber is promoting a safe riding experience, they should have solutions and remedies in place for when things go wrong,” he told the BBC. “The difference between Uber and a city bus or train is that Uber is consciously deciding who is put in a car and who people are sharing a ride with. Uber has been encouraging people to use its Pool service, rather than booking a private vehicle. The ride-sharing company makes more money when passengers choose to share a car with strangers. It told the BBC it could not comment on the case because it was “pending litigation”.